Red, orange, yellow, green, purple and...blue? Philly’s Jet Wine Bar will be featuring a flight of six different colored wines for Pride Month. Pink wine – the summertime favorite, rosé – is easy to find in most bars. But have you ever tasted blue wine? 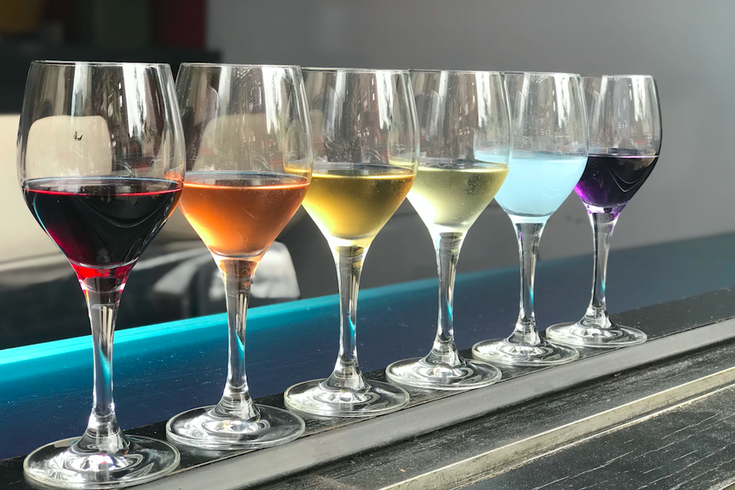 This June, in celebration of LGBTQ+ Pride Month, you can taste all the colors of the rainbow at Jet Wine Bar in Philadelphia. The six-glass flight, available for $24, will include red, orange, yellow, green, blue and purple wine. Three-glass flights will also be available for $12. The rainbow wine flights will be available all month.